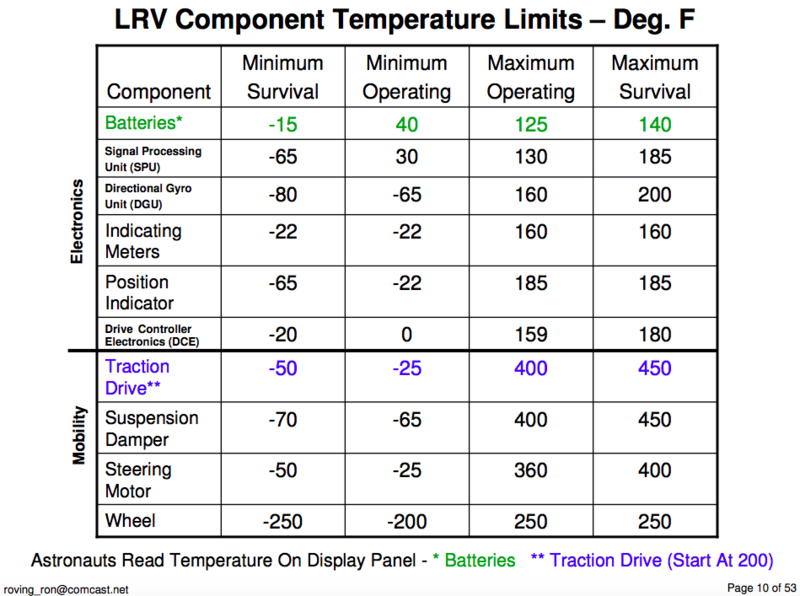 The Apollo Lunar Rover had several components with constraints on operating temperature range, and max/min survivability limits. My question How much wax is on the Moon? (Lunar Roving Vehicles) addressed the use of a box of wax as a thermal reservoir - the phase change of the wax (melting/freezing) could be used to absorb thermal energy during times of excess heat production and provide warmth back if something, the batter especially got too cold during periods of no use. In order to simulate the production and flow of heat in the whole rover, both during transport from Earth and operation on the Moon, detailed thermal modeling was required. To that end, some kind of computer was used to model it. There are computers and there are computers. There are analog computers based on real analog circuits or mechanical systems, and there are even brine tanks (tanks of conductive salt water) used to measure solutions to Poisson's Equation in 2D and 3D. Does "Electrical Analogy - Capacitors and Conductors" mean that an analog computer was build using resistors and capacitors to model the flow of heat my measuring the flow of electricity? 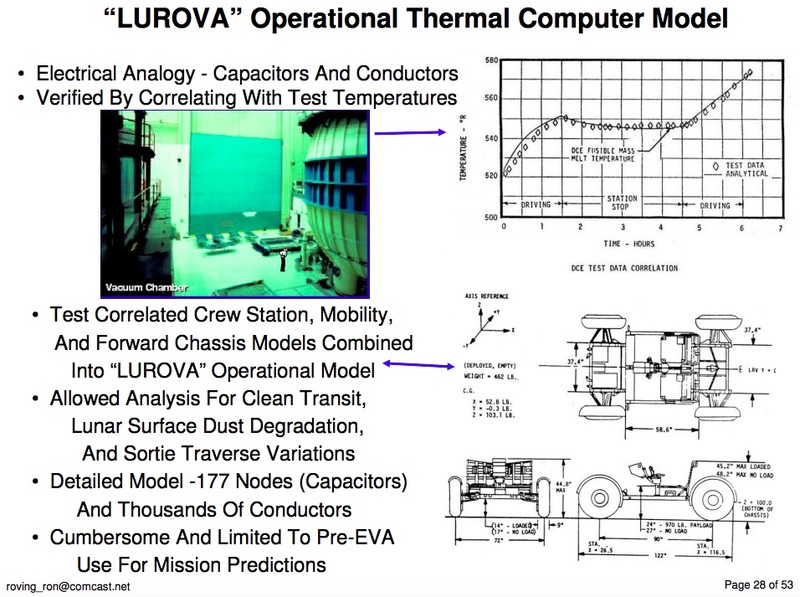 Question: What was NASA's “LUROVA” Operational Thermal Computer Model analog or digital? How were capacitors used? Browse other questions tagged apollo-program rovers thermal thermal-control calculation or ask your own question. How intrusive was the Apollo Master Alarm system?